50 Ugly Jewelry Photos – What is the Ugliest Jewelry in the World? Have you ever seen those ugly jewelry photos on ETSY or Amazon that seem to be terrifying and evoke simple skepticism or laughter? Check out 50 different images of the ugliest jewelry in the world to avoid taking these kinds of photos on your own. Firstly, the ugly jewelry photos that come to mind are probably the insects-infused adornments. Surprisingly enough, there are even samples to see in museums, like the recently added Victorian cockroach necklace collection. Thanks to Winona Johnson, every fan of such leisure time activities like popping zits can get a relevant ring to feast their eyes on. This one is best kept away from someone who is afraid of dentists. Though, it can be a great present for the professionals. 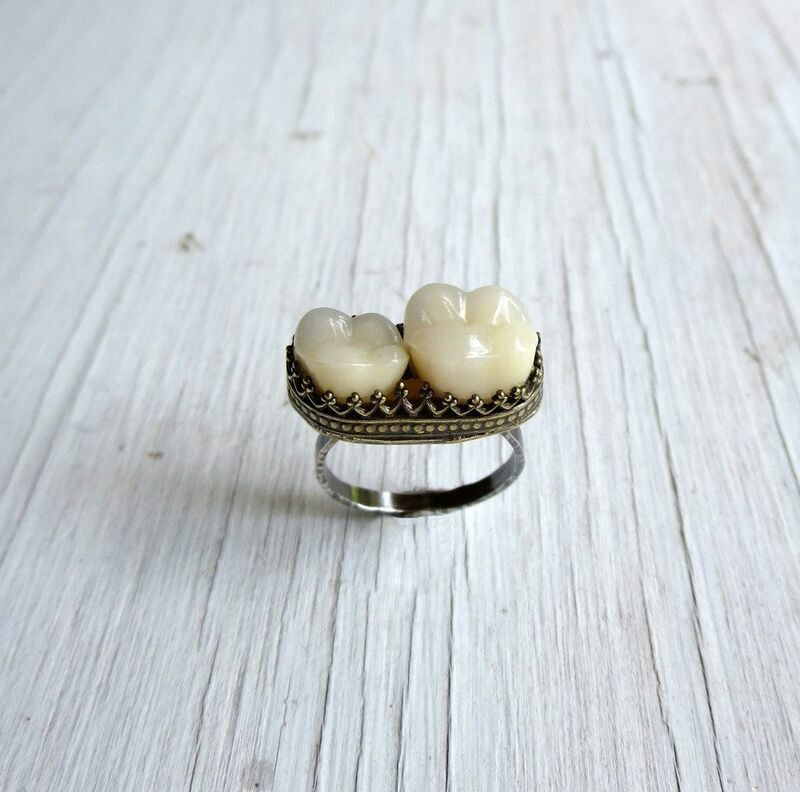 The ring features an actual tooth of a human being, which may be a quite obvious explanation as to why it doesn’t need any more jaw-dropping elements. Such creepy pieces would be right for a Halloween costume. This one isn’t necessarily the ugliest piece of jewelry in the world, but it won’t get a title of “most delicate accessory” either. These miniature steak cufflinks are a real discovery for the gourmet lovers, just don’t show it to the vegan fellows. These cuties are often on the funky jewelry websites. This ring is like a crossover between the hi-tech and jewelry worlds that seem impossible to connect and yet, their creators managed to bring it to life. The ugly jewelry photos list would be incomplete without these hairy flesh samples. 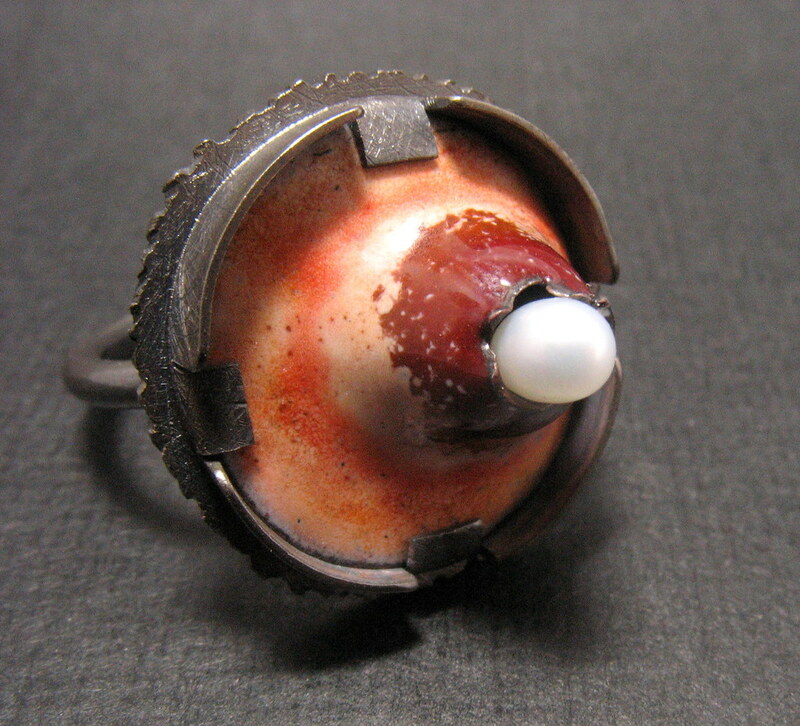 The ring is no joke, its designer used his own skin from the belly area, preserved it with salt and then tanned to turn it into the piece of art, even if it’s a questionable one. This weird jewelry, created by G. Jarvis, actually has a noble purpose behind its unusual design. The thing is that all of the jewelry is made out of the recycled material; the plastic legs and heads belonged to the real Barbie dolls and represent kind of a common historical heritage. The ugly jewelry photos obviously have to include the human parts accessories and I have one for you. It’s from the Gregory Larin's compilation called “Anatomy lessons,” inspired by the human body in all its incomprehensibility. This necklace can be proudly called one of the ugliest jewelry in the world but at the same time, one of the most popular items, due to its “The Walking Dead” appearance. It’s sure to impress any zombie lover or hater. This line of accessories is hard to label as disgusting jewelry, but it’s definitely more on the gritty side. The skull rings, bracelets and chains became an unexpected phenomenon that is targeted mostly at the male audience. However, the jewelry looks quite unisex for anyone who searches for the accessories with an edge. Oddly enough, real meat jewelry is getting fashionable and trendy among the ugly jewelry images. It’s even environmently-friendly because you’re able to use the materials you have on hand. Besides, what if a real meat buffet can spark up your hunger for creativity? For me personally, this isn’t the ugliest necklace I’ve ever seen, the previous examples I find to be far stranger. The Le Knockout jewelry by Kim Kovel derives inspiration from the fairy tales that every child knows. Like the majority of projects, it all started with the tooth of her own son and I think it can be really touching to keep a little baby part if it’s put into the right shape. The EatMeDo name needs no explanation. The collection looks very realistic and appetizing to unsuspected onlookers, who may want to have a bite. The jewelry is made out of the thinnest, laser cut animal skin and looks so elegant that it’s hard to determine its source. The “KimoKawaii” term suits it perfectly and means “mixture of the beautiful and ugly” in Japan. The skin of different animals was used for Marta Mattsson's Rebirth project, including goats and reindeer. Who said that everything you wear should be zipped? The nasty gal accessories don’t have to follow the general rules and are a unique way to amp up your style. It would be especially handy if you want to add some Gothic flair. You choose whether it’s a collar with ribbons or a lace bracelet, appropriate for the wedding day. Everyone loves kittens, thought Ginette Lapalme and created unique handmade jewelry for the cat lovers out there. Furthermore, she put a little twist on cats' traditional image, painting them into mind-bending colors and added some jewels on their heads. Sci-Fi inspired accessories sound like an embodiment of tacky jewelry, but it doesn’t have to be that way. These duds come in metal and are reserved enough to show off your passion without looking like a teenager. This artsy jewelry is available on Etsy and consists entirely of duct tape that gets attached to the base ring. The unique design of these accessories is emphasized by the color and pattern variations of the duct tape. Crocodile or snake print is officially out. The chicken leather accessories are a new idea to think about and implement in your life. What do you think about these pieces by Rakel Hafberg? Crocodile or snake print is officially out of the latest fashion trends. The chicken leather accessories are a new idea to think about and implement in your life. What do you think about these pieces by Rakel Hafberg? The hero of a famous film will immediately make it clear with whom your interlocutors are dealing. With this accessory, you can easily make a variety of everyday outfits, the main thing is to not make everybody run away. Not all ladies are convinced that the most beautiful insects are butterflies and only they can become the best decoration of their evening bow. Some choose flies. A voodoo party waiting for you? Choose this jewel, which will add a sinister look to your look. Hopefully no baby was hurt. We continue the story for those who love babies, and especially using them in ugly jewelry. Such a pin will perfectly complement the overall ominous picture. Cat lovers make beautiful and cute jewelry, those who love disgusting jewelry create works of art with evil cats ready to pounce on you. The dress for the Christmas party not festive enough? Do not use these earrings in the form of Santa Claus to complete the look. Actually, I have only one question. Why their hair is green? In recent years, animalistic motifs in outfits have become very trendy and fashionable, but I'm not sure that this applies to grotesque jewelry in the form of monkeys. A great option for medical students who study the anatomy of the human body. For others? Not sure. At first glance, I did not even understand what it was. The only thing that is clear right away is that this is the typical worst jewelry. Duck? Swan? A lot of questions. Awful key chains for fans of movies on comics. Want your favorite hero to always be with you? Buy a key chain. However, perhaps more elegant. Nature lovers will never pass by such a pendant. It is not the ugliest piece of jewelry in the world, but it lacks grace. The ugliest necklace for girls who are too shy to show their bra, but really want to. That's what will happen if you turn to an inexperienced jeweler with a request to create a unique wedding ring. This is definitely one of a kind. Do not believe those who say that minimalism and sophistication are in fashion now. This lady is sure that the more, the better. If it was an attempt to create sea foam from which Aphrodite came out, the jeweler failed. More like the effects of land waste pollution. Nothing but a huge third eye comes to mind when you look at this ring. In the competition of weird jewelry, this would win a prize. These are typical representatives of the ethnic African style of jewelry, but this looks strange in an everyday environment. A great piece of jewelry for your little Mermaid outfit, if she lived at the very bottom of the Mariana Trench. It seems that this swan alone became depressed and lost all its diamonds somewhere somewhere. I feel sad looking at this disgusting jewelry. This cupcake feels bad. The jam inside is probably spoiled. For all fans of George Orwell’s "Animal Farm," this terrible necklace. Boho style in all its glory. Children love Elsa from “Frozen” and Ralph now, and poor Spongebob is already retired. If your childhood is gone and you feel sad just like this Spongebob, you will definitely like this piece of jewelry. I don’t know what jewelers imagined when they made this weird jewelry, but as for me, these earrings are turtle legs and a piece of armor. This hideous jewelry is created specifically so that you can give it to your girlfriend who is constantly lost at Christmas parties. Ringing bells will help her find. You can hardly find such earrings on cool jewelry websites because even the name itself says a lot. This will be a great addition to the terrible Christmas sweaters. Scarabs are a symbol of wealth in ancient Egypt. Try to say it faster than your aunt screams. An interesting option for recycling old and unnecessary things. However, it still looks very strange. Positive ring for those who love to smile. The main thing is not to see this face in nightmares. The word "No" in the center of this bracelet accurately quotes those who love minimalism. Antique statues in museums look the same and they are considered exquisite works of art. This keychain has the right to life. How to Avoid Ugly Jewelry Images? Here’s a list of 10 typical mistakes you should avoid during jewelry photo shoots. View this tutorial about how to take professional jewelry photography easy even for amateurs. To avoid ending up with ugly jewelry photos, ensure all items are completely stainless. Maintaining the right level of polish is important because DSLRs significantly increase the size of an object when photographing it. Tiny dust specs or smudges that aren’t visible with the naked eye become highly noticeable. Be sure to polish the jewelry after every contact. You can use cotton gloves to avoid cleaning objects again and again or retaking images. Come up with basic rules that you’ll stick to during artsy jewelry photo shoots. It’s essential to be consistent when it comes to product photography since noticeable differences between pictures can confuse viewers. Write down everything: lighting conditions, backdrop, the equipment settings, angles, etc. This way, you will be certain that you can continue taking photographs in the identical conditions the next time. Rookie business owners sometimes think that white backgrounds seem “bland” and lack “brand identity.” Such people tend to experiment with prop-rich or colorful backdrops. It’s a trap that may result in ugly jewelry photos. It isn’t the coincidence that websites like Amazon or eBay demand a white or inactive background for any product, even for weird jewelry. White or bright gray is a safe choice that ensures that the viewer is focused on the product. Jewelry is also often photographed on a black background, but such images may be rejected by some major retailers. Another advantage of the white background is that it is cost-efficient and simple to make. You can construct a lightbox or use rolls of white paper. Some entrepreneurs think that jewelry items like necklaces have to be presented on a complex background or on a mannequin. However, such a background will distract the potential customer and can lead to ugly necklace pictures. Read what jewelry photography props you need to take stylish photographs of shining jewelry. Thematic decorations or models may be used for jewelry pictures. However, such pictures are meant to establish brand identity and have to be featured in magazines, website headers, and email newsletters. They shouldn’t be used for the product category section. Keep in mind that unique fashion jewelry pictures need to be consistent, so always focus on the item you’re showcasing. As a product photographer, you have to ensure that when customers are looking at an item they don’t wonder if it’s your reflection they see on a gemstone or a common flaw. Precious stones and metal surfaces can be a serious challenge. It’s quite tricky to photograph such items and avoid reflections. Adhere to these guidelines to minimize the distractions and consider employing double overhead lights when working with metal jewelry. Put the item on a table and place big professional light sources on both sides and use umbrellas to diffuse them. Place a large roll of white paper behind and below the item. Next, connect it to the lens. This trick allows blocking forefront reflections by shedding more light on the product. Place the camera on a tripod to establish a slight top-down angle. Put the lights and umbrellas on both sides above the jewelry and focus them onto the item. Such a set-up will uniformly light the object without any distracting bright patches and will ensure you’ll never get ugly jewelry shots. Regardless of how good your lighting conditions are, they won’t do you any good if you decide to handhold a camera or a smartphone. Such an approach will lead to either shaky or poorly focused ugly jewelry photos, which isn’t something you want. Purchase a tripod. It’s inexpensive and incredibly useful to improve the look and consistency of your jewelry pictures. A tripod also allows you to use the most appropriate ISO and aperture values. Also, consider marking the tripod position to ensure consistency of your shooting conditions when organizing several sessions. Avoid taking art-like photographs with a small aperture setting and focus on a small part of an item. It seems like you’re selling disgusting jewelry and are trying to hide the defects. If you want to make customers believe you, create high aperture, fully-focused pictures. Viewers want to examine a product in detail. Give them such an opportunity by setting the aperture at f/11 or higher and using the smallest ISO, preferably 100. If white balance isn’t correctly configured, colors won’t be represented accurately and you’ll be left with ugly jewelry pictures. The best example would be the gold/blue dress picture that had the entire internet arguing about its true color. The white balance can be adjusted either manually or in auto mode. A complaint shared by many customers is the lack of different images of the same product. For instance, a person might be attracted to a top-down picture of a bracelet but would also want to see a close-up shot to examine the engraving. Always give them a chance to do so. You’ve dedicated a lot of effort to prepare the item, lights and equipment. There’s no reason to take only a couple of photographs. Earn trust from potential customers by displaying every aspect of the pretty jewelry you’re selling. A larger number of pictures has proven to increase the number of sales, so take as many photographs as you can. Customers are immediately put off by poor Photoshop editing. It can make even a magnificent ring look like the ugliest piece of jewelry in the world. Badly retouched images seem unrealistic. Either improve your Lightroom and Photoshop editing skills or pay an experienced retoucher. In addition to image editing, it’s advised to develop templates that have identical crop-, margin-, and alignment settings to strengthen the consistency of your photography. It is very important to take a good picture of the jewelry, but it is even more important to edit it correctly. You can send your jewelry photos to professional FixThePhoto retouchers. For only $5 per photo, you will receive high-quality professional photo editing fast. 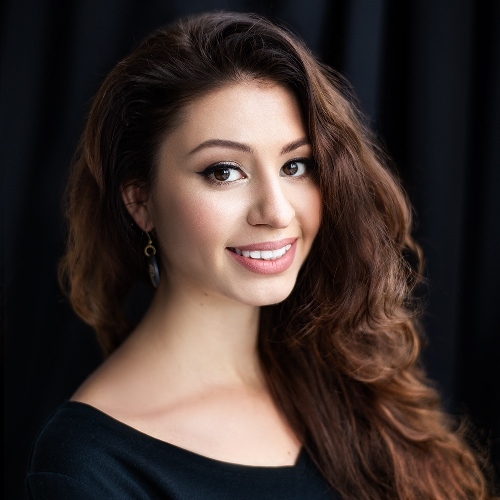 If you don’t have time or skills necessary to retouch pictures and don’t want to end up with the ugliest necklace photo you’ve ever seen, make use of services provided by post-production agencies. Now that you’ve learned how not to take ugly jewelry photos, it’s time to start shooting! Don’t repeat any of these 10 typical mistakes and the quality of your product photography will surely rise.